I can’t tell you enough how in love with this dress I am. 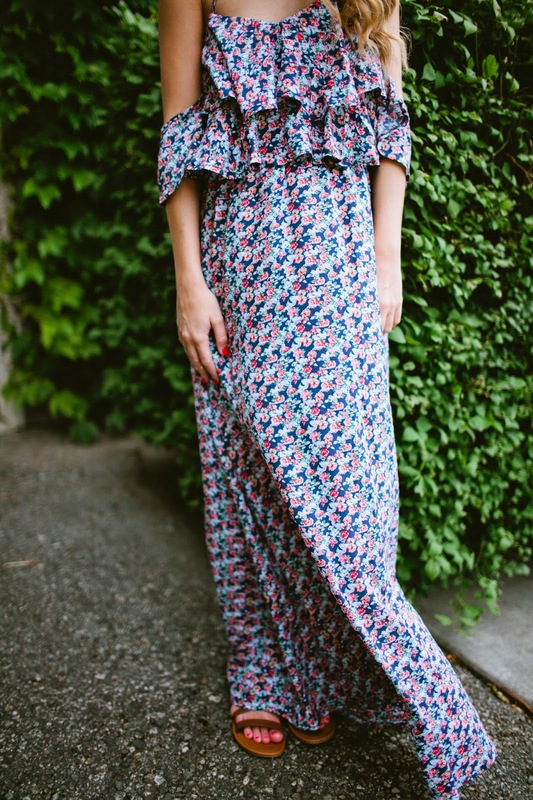 As if the floral print, the ruffles, the fluttery off the shoulder sleeves and the halter top weren’t enough, throwing in the fact that it’s a maxi dress is the cherry on top. It’s so fun, flowy and flirty (word of the week?) and as soon as I put it on, I felt like a million bucks. Don’t you love when a piece of clothing does that for you???? 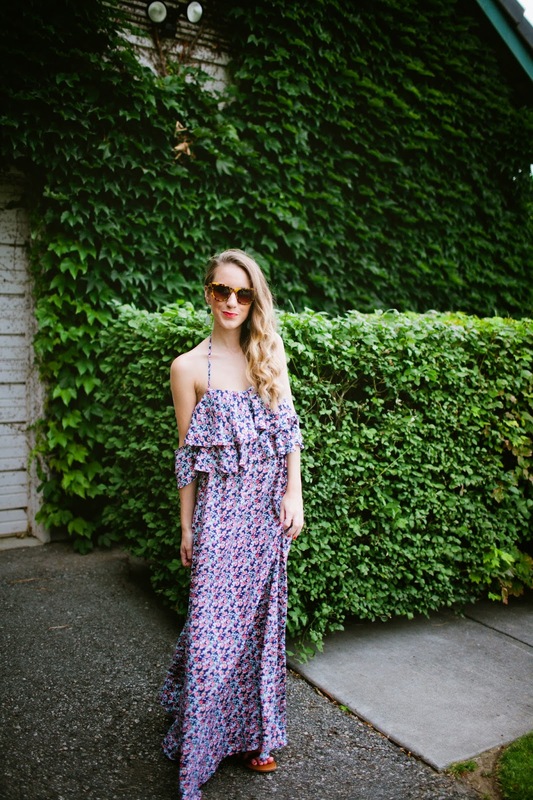 If you buy one maxi dress this summer, let it be this gorgeous option. I promise you won’t regret it!